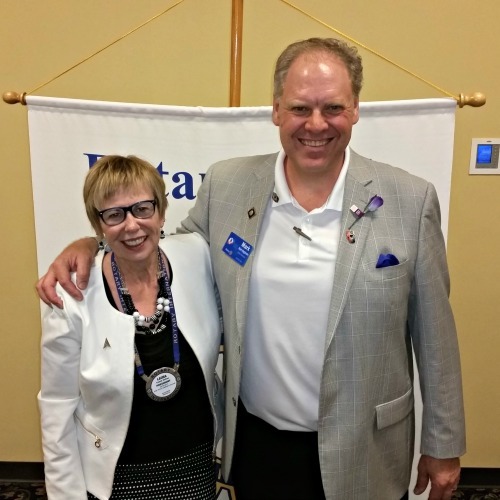 District Governor Mark Hegstrom was our guest. Congratulations to District 5950 clubs and the District Rotary Foundation Committee Team! For the second consecutive year, District 5950 took first place in three categories for Foundation giving at the Zone Institute in Cleveland, Ohio. We are top among 28 districts in Zones 28 & 29.